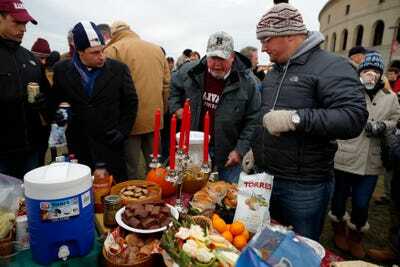 This past Saturday, the Harvard and Yale football teams met for 131st time in what has become one of college football’s most storied rivalries. 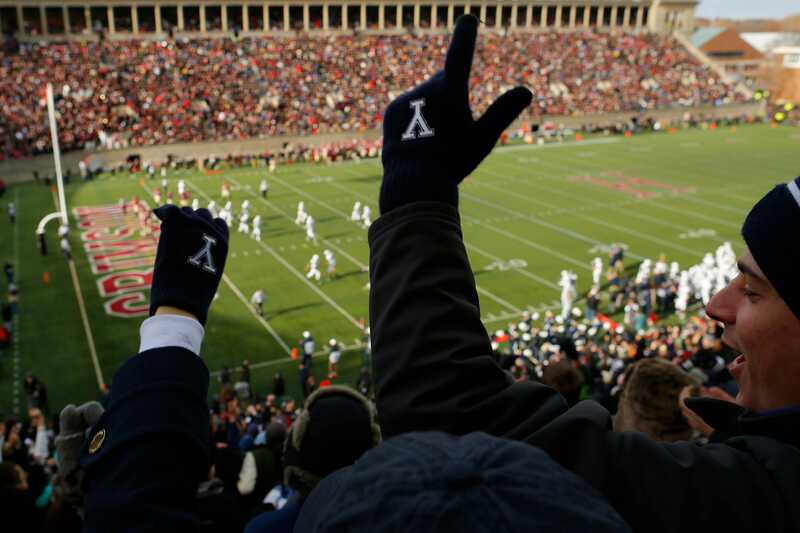 Over 30,000 students and fans filled the Harvard Stadium for the sold-out game, enduring freezing cold temperatures to cheer on their chosen team. The event and the pageantry around it is an experience unlike any other. From the tailgating to the fans,to the afterparties (and of course, the football,) you really have to see it to believe it. Both current students and alums piled into Harvard Stadium's parking lot two hours before kickoff to tailgate. Some brought huge meals to share, like this Thanksgiving feast. 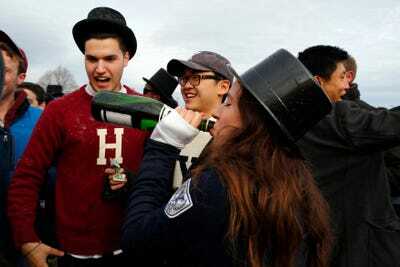 Harvard and Yale students took some time off from studying to let loose and celebrate the rivalry. ESPN's College GameDay crew broadcasted live from the tailgate prior to the game, discussing the history and making predictions. 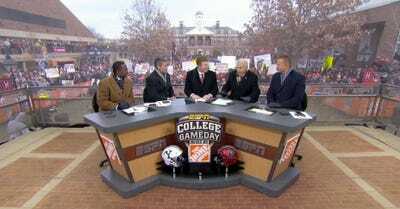 Outspoken analyst Lee Corso made a bold prediction by picking Yale, a 12-point underdog, to win the game. As you might expect, many fans brought signs to show their support. Signs at the Yale-Harvard game can be a little more highbrow than your average fan signs, though. The rivals knew where to hit each other where it hurts. Just before noon, fans began to stream into the stadium. There was a palpable excitement in the air. ...it was kick-off time and the game got underway. The annual matchup is known simply as 'The Game' to many diehard fans. The first Harvard versus Yale football game was played in 1875, making it one of the oldest rivalries in college sports. 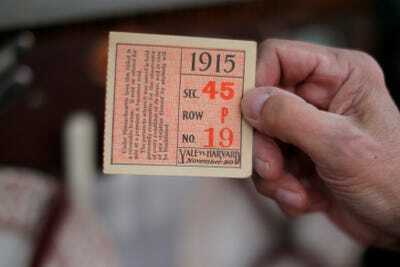 A Harvard University football fan holds a ticket from the 1915 game before their football game against Yale University at Harvard in Cambridge, Massachusetts November 22, 2014. 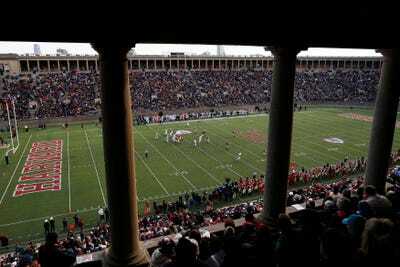 Harvard Stadium is itself a historic place. The first collegiate athletic stadium built in the US, it was constructed in 1903 and was designated a National Historic Landmark in 1987. It's famed for its columns, arches, and other references to Greek and Roman architecture. 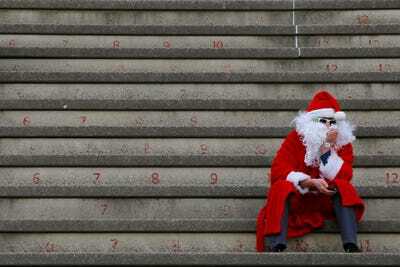 In the stands, the excitement was at a fever pitch. While Harvard had beat Yale in the last seven straight meetings and boasted an impressive 6-0 win-loss record for the season, Yale was ranked in third in the Ivy league standings, with a respectable 5-1 record. 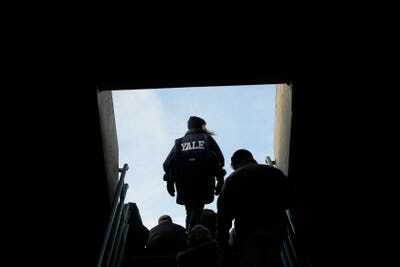 Yale students had faith. And Yale did keep it close the entire game, tying it all up at 24 a piece with a field goal with less than four minutes left in the fourth quarter. The game was a classic in the making, and the stands were buzzing with tension. But with less than a minute to go, Harvard quarterback Conner Hempel threw a 35-yard touchdown pass to wide receiver Andrew Fischer, putting Harvard up 31-24 and giving his team the season title. 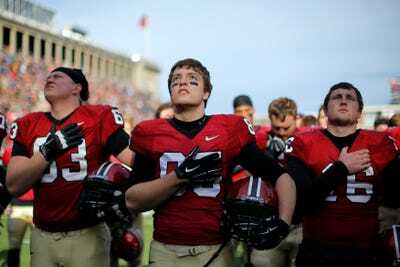 With another Harvard-Yale game in the books, some were happy and some were sad. Everyone, however, surely enjoyed the history and the spectacle around the rivalry. There's always next year, Yale! 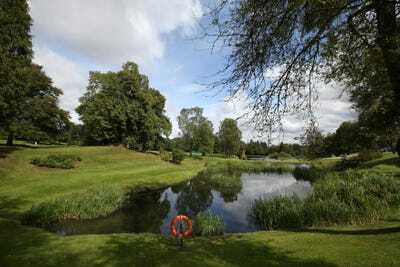 Want to experience a different kind of storied sporting event?